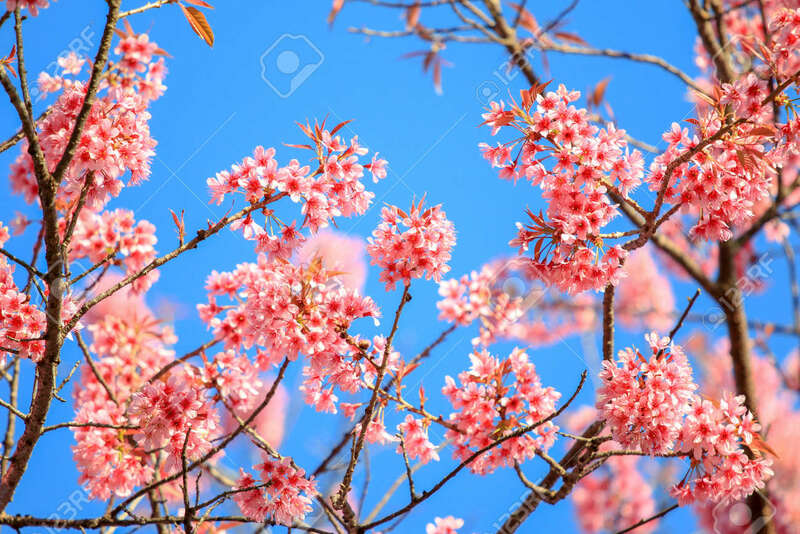 Close Up Branch Of Pink Cherry Blossom With Blue Sky At Khunwang,.. Stock Photo, Picture And Royalty Free Image. Image 95819105. Stock Photo - Close up branch of pink cherry blossom with blue sky at Khunwang, Chiangmai Province, Thailand. Close up branch of pink cherry blossom with blue sky at Khunwang, Chiangmai Province, Thailand.